Anyone who uses Facebook has run into spam at some point. You can tell the spammer from a mile away by their inappropriate posts, photos and news feed hijacking. How many times have you seen what appeared to be a spam post by someone you follow? How does this type of situation happen? There are two scenarios. The first is the spammer finds an inappropriate photo or status update, and tags you. The post will show up on your timeline, as well as that of all your friends. The second is to submit a friend request, which you as the user approves without checking the source. Then this person has access to the content that you create, and hijacks accordingly. As an everyday Facebook user, this may not seem like a big deal, but to businesses and organizations (such as the Grange), these type of scenarios are a HUGE deal. Reputation is of the utmost importance, and the last thing you want to happen is have inappropriate photos or posts floating around the internet with your name on them. We have to remember that as Grange members, we represent this organization as well, and what happens on our personal Facebook pages can have an affect on the organization to which we belong. How do you prevent spam hijacking from happening? Be sure to check everyone who asks to be a friend, especially if you do not know the person requesting friendship. Also adjust your privacy settings so that others can not tag you in a photo (or post on your wall) without your review. What does this mean for Granges on Facebook? Having a Facebook presence is an essential part of effective communications for Granges. A well-run Facebook Page helps Granges collaborate, connect and increase their network of members, volunteers and supporters. The most important way for Granges on Facebook to avoid the wrath of spammers is to have a proper Facebook organization page, and not a profile page. A Facebook Personal Profile is designed to be used only by an individual person, not a business or organization. (such as John Doe, not XYXY Grange). This is a common mistake that is made. You will see many organizations and businesses set-up as a personal profile. Facebook clearly states that using a personal profile for anything other than “personal” use is a violation of their Terms of Service. A Facebook “Page” (not to be confused with the Profile described above) is designed for businesses or official representations of organizations (such as the Grange) or people (like a movie actor or recording artist). Facebook users are able to “Like” a Page and that Page is then indicated on their Profile as an organization that they Like. These Facebook Pages were designed to inspire more action and participation from fans - and the readers and viewers do not have to have a personal Facebook account to see the content. These pages have actions in place to help avoid spam and control what the public sees. What if I have the wrong type of profile for my Grange? If you have ‘Profile’ account set-up for your Grange and not a ‘Page’, then the account needs to switch to a proper Facebook Page in order to be in accordance with Facebook’s Terms of Service, as well as CSG Social Media Guidelines. Now, thanks to some new changes at Facebook, there are two ways to switch over your Grange to use the proper Page format. 1.) Create a Proper Facebook Page for your Grange, and then on your old Profile, repeatedly tell all of your friends to ‘Like’ the new page. Set a deadline, and then shut down the old page on the deadline set. Can I set-up a Facebook Page for my Grange? 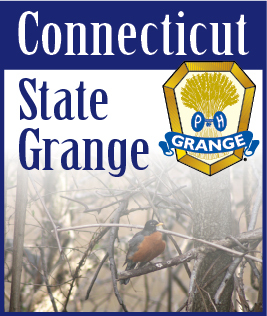 We encourage all Granges in Connecticut to have Facebook Pages. The Public Relations Committee can assist by setting up the pages properly for you, and then turning them over to your Grange for management. Contact Bob (publicrelations@ctstategrange.org) or Terri (information@ctstategrange.org) for details.